Need a part for your older pump, or need an extra set of pump parts to have on hand when and if something goes wrong with your pump. CanDyne has all of your pump parts available from A- Z! 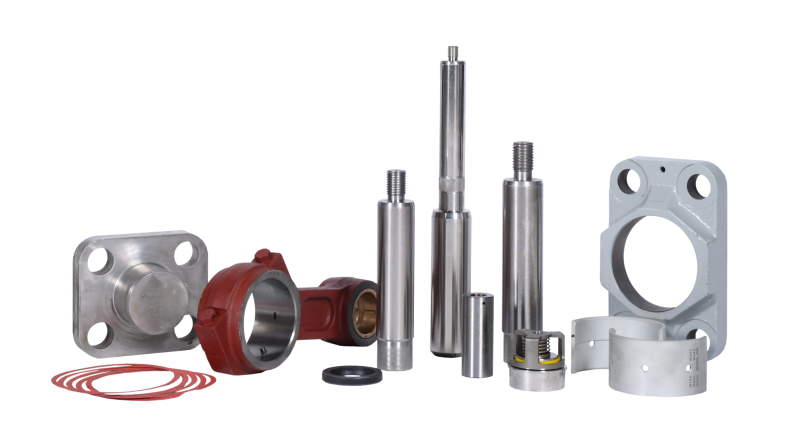 We carry a large inventory of pump parts for most major pump makes and models (OEM, Aftermarket and/or Replicated) in the industry, including Gardner Denver, Ajax, Oilwell, Gaso, Wheatley, Kerry, Goulds, FMC, Moyno, Tarby, and many more. CanDyne believes it has one of the most comprehensive libraries of parts lists, Installation and Operation Manuals dating back to the 1970’s. Please don’t hesitate by calling us for a breakdown and/or access to our parts manuals. If you’re a customer, don’t hesitate in giving us a call and we would be happy to send out the related reference material you need on your system – just call our Parts/ Service Division to inquire of our services and parts availability. Service for parts is available 24 hours a day. Call 1.866.831.3001. Additional resources call also be found on our Technical Information page.